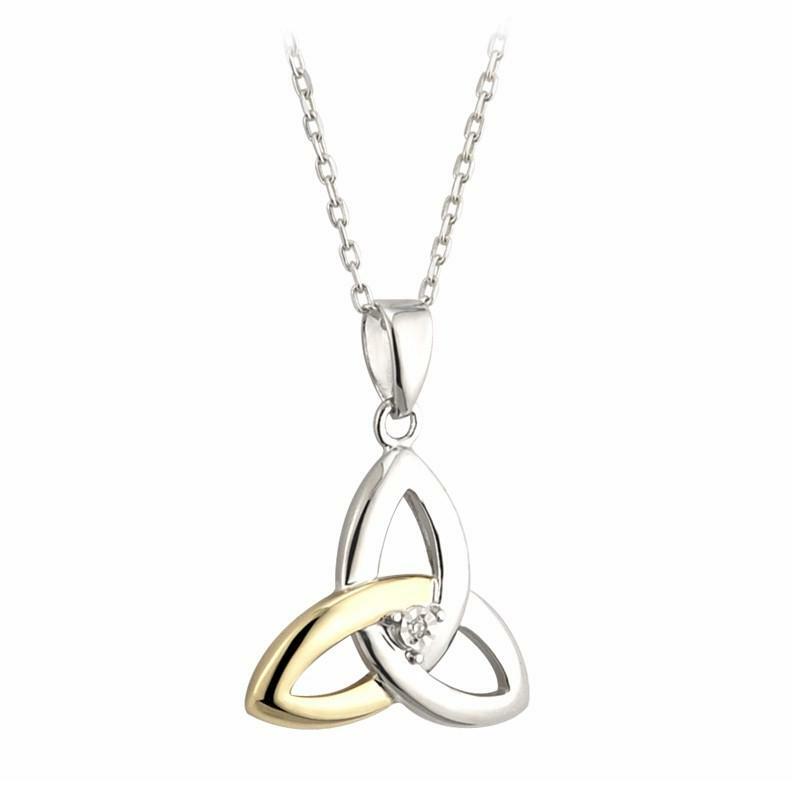 Beautiful Sterling Silver & 10Ct Yellow Gold Trinity Knot Pendant With A Diamond. This is an anicent symbol that has been associated with numerous meanings throughout the Celtic history. It is primarily recognised as a symbol of the three aspects of humanity, mind, body & spirit. At other times it has been used as a representation of the holy trinity and with the triple goddness of maid, mother & Crone. This Pendant is made in Ireland while we aim to keep this pendant in stock please allow up to 10 days for delivery if pendant is out of stock. Pendant is supplied with a chain. Measurements 5/8''wide & 3/4'' long.